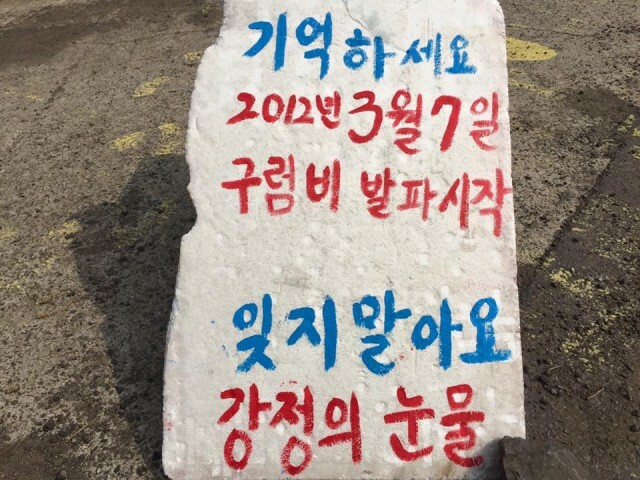 March 7th, 2012, was the day of pain as it’s the day when the blasting of Gureombi rock was carried out. 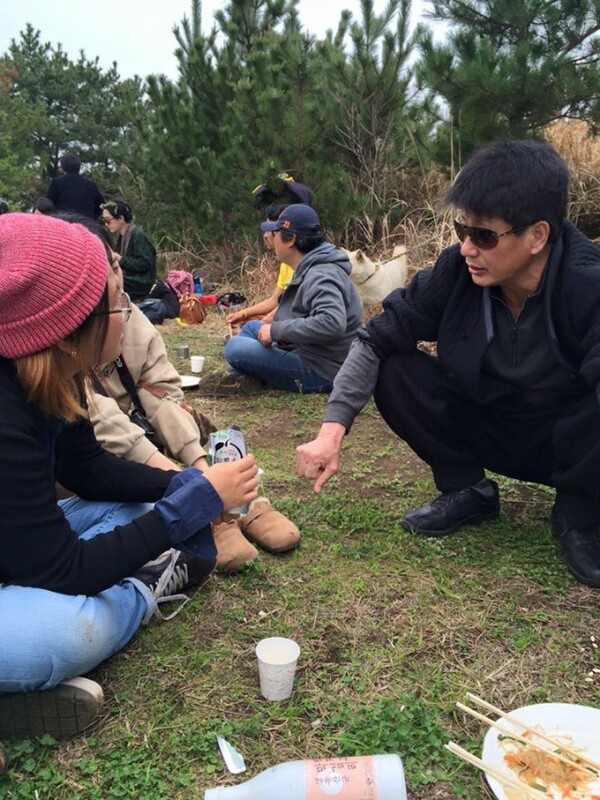 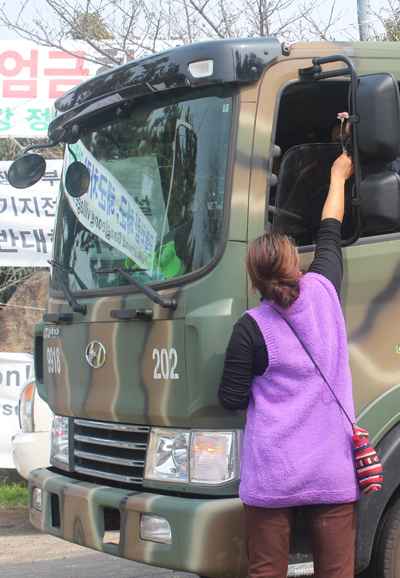 However, the blasting cannot break people’s desire for peace, also, it cannot stop people’s resistance. 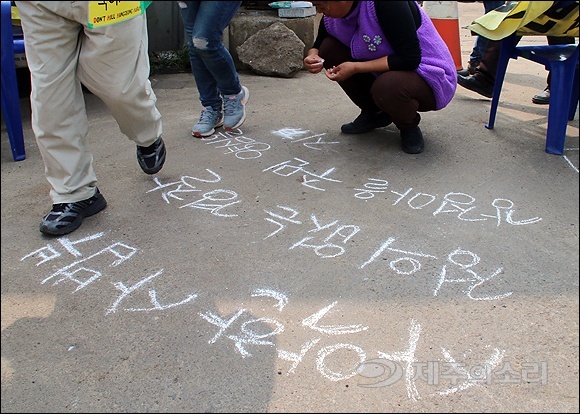 Since then, every year, on March 7th, Gangjeong people hold diverse activities to remember Gureombi. 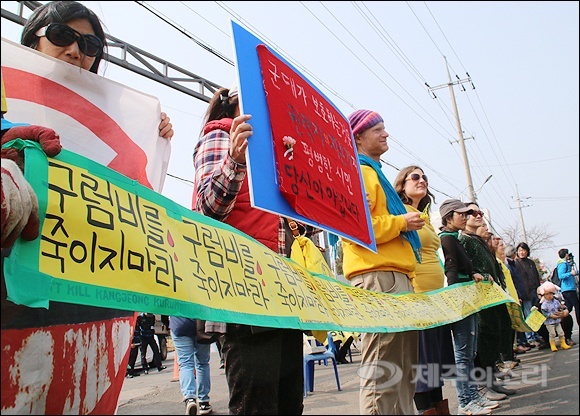 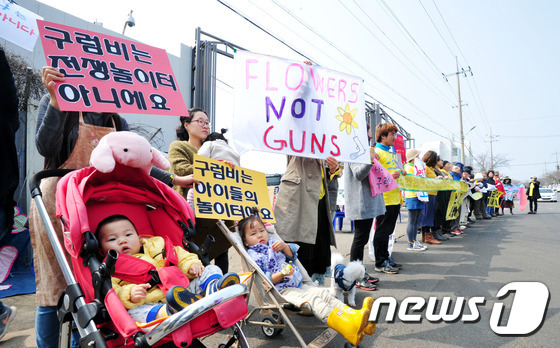 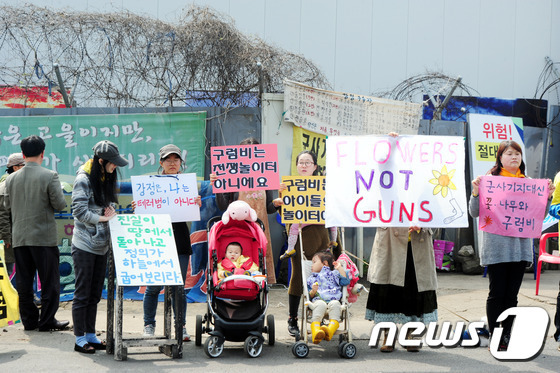 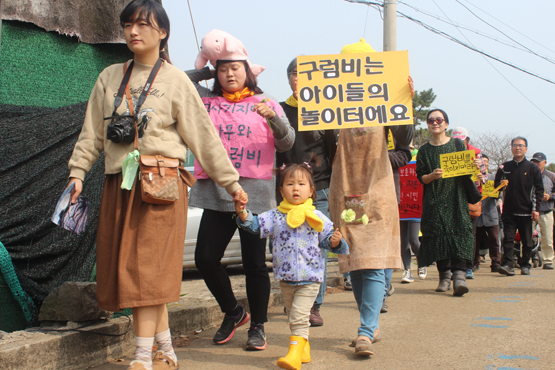 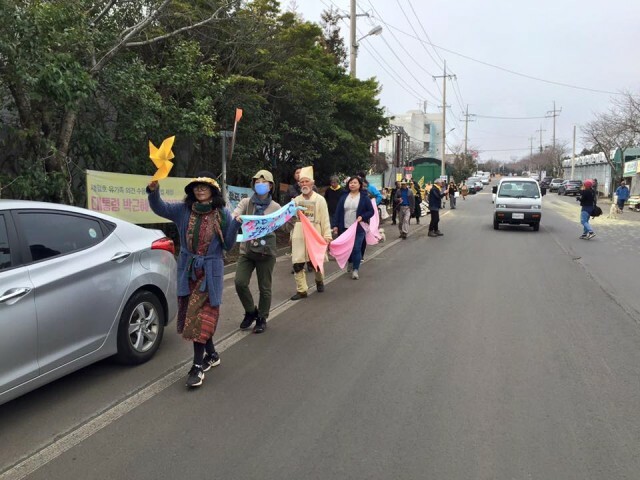 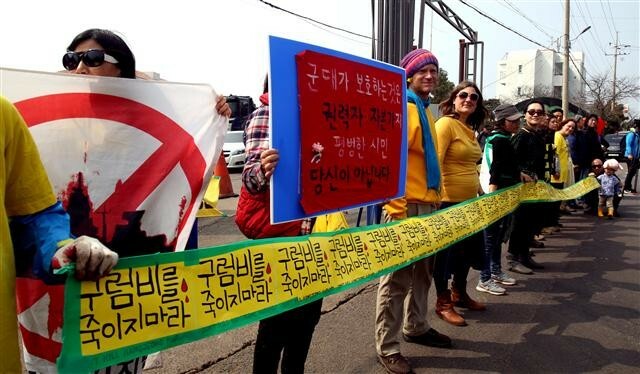 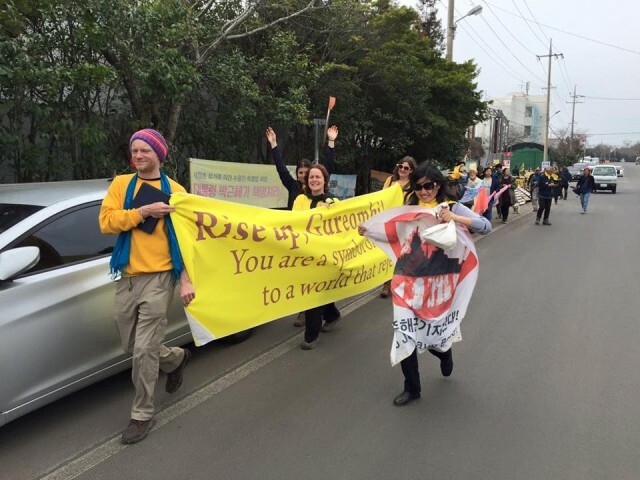 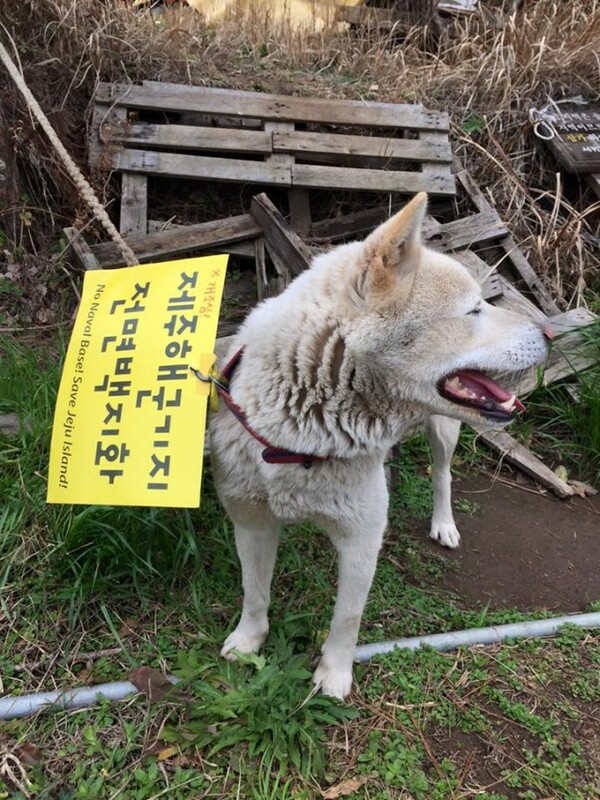 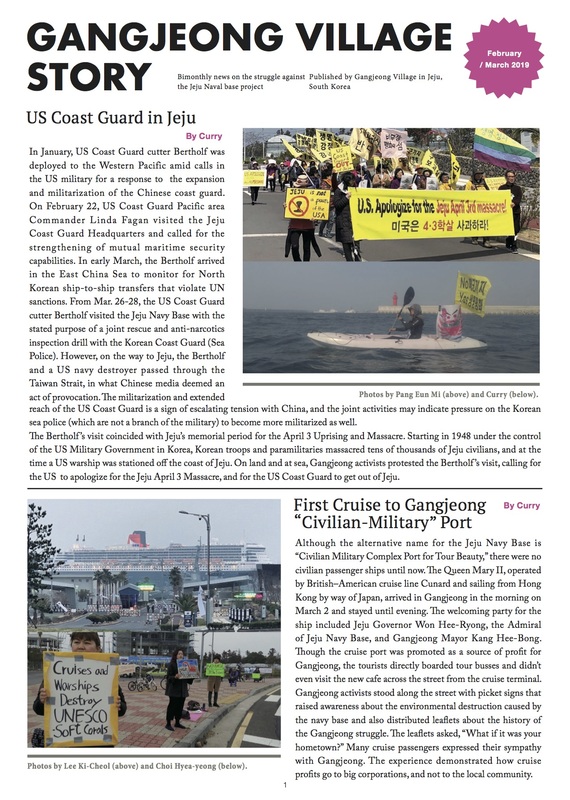 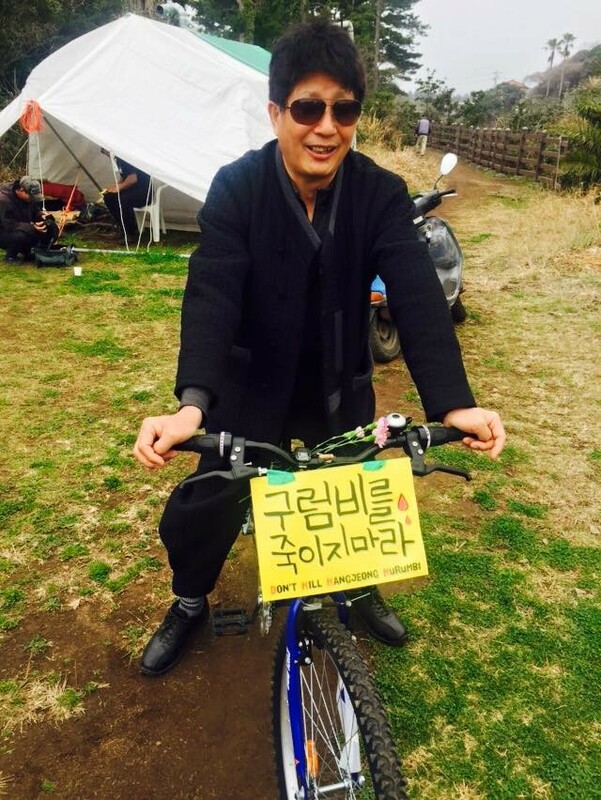 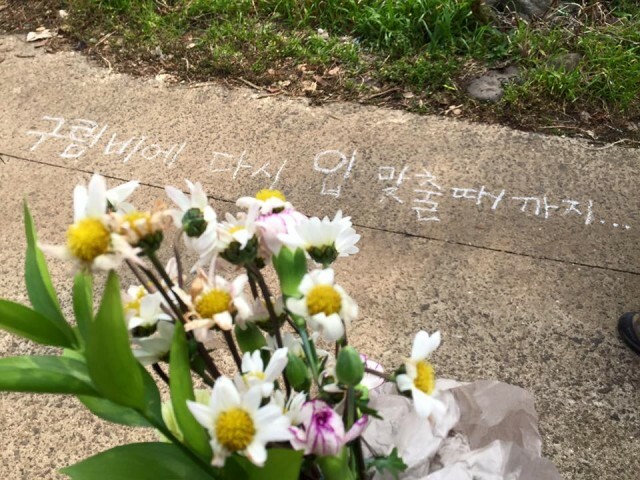 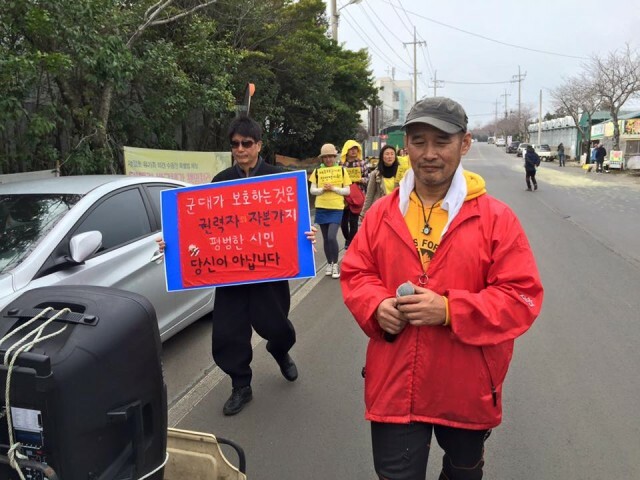 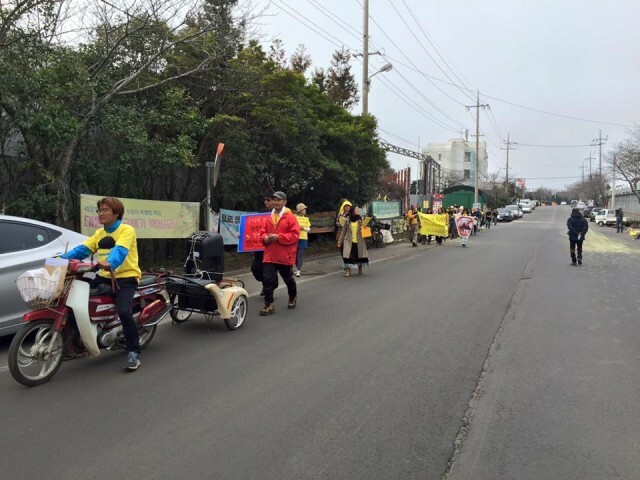 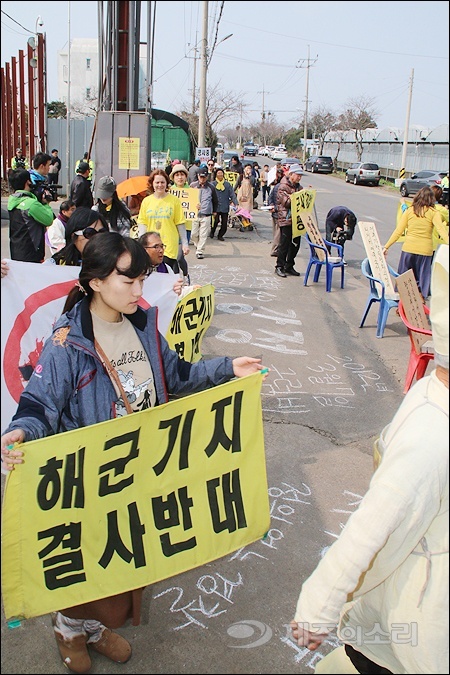 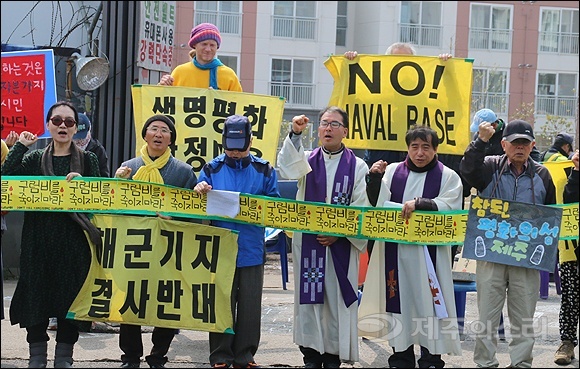 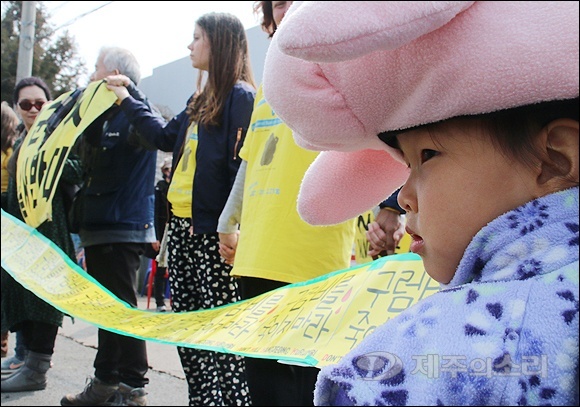 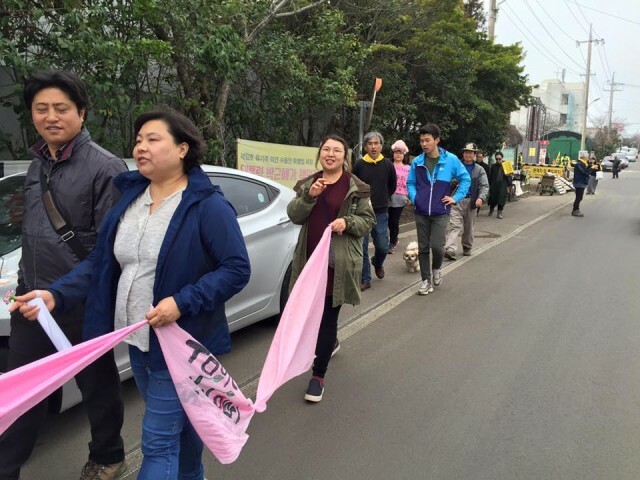 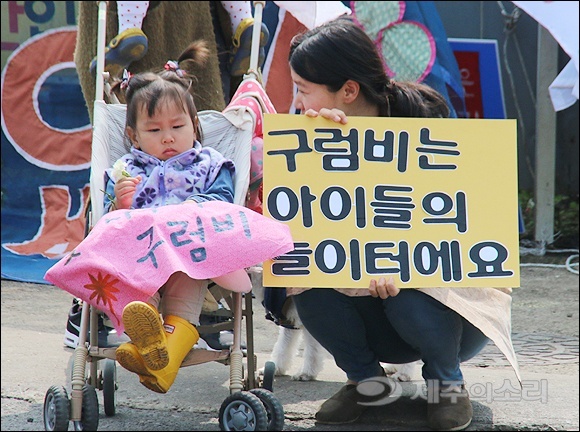 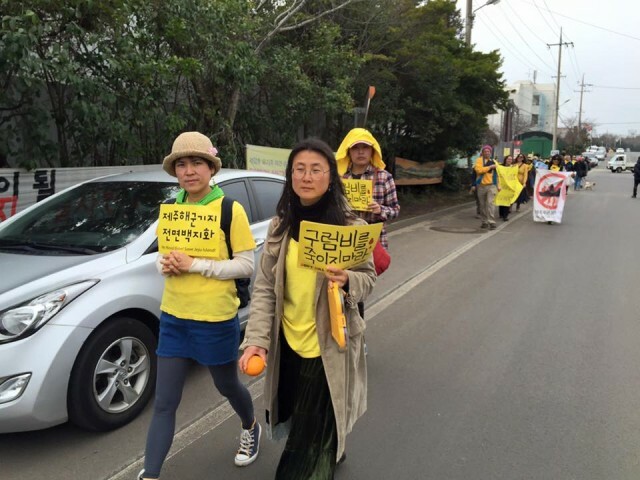 No exception in this year (2016), on March 7, in remembrance of the Gureombi Rock, Gangjeong people had a press conference, human chain, and march in the village on the day.